Sea Buckthorn Insider | No More Stomach Pain! Sea Buckthorn Oil Offers Impressive Support to Relieve Stomach Discomfort! No More Stomach Pain! Sea Buckthorn Oil Offers Impressive Support to Relieve Stomach Discomfort! Due to its remarkable nutritional density, sea buckthorn has recently exploded onto the nutritional scene as a potential kind of “miracle berry.” Why is this? It hearkens back to the incredible potency this berry enjoys from a nutritional perspective. Do they taste good? Not really. Are they easy to find? No. Why are they relatively expensive? They grow in difficult climates, and are extremely difficult to harvest. In order to understand the real benefits you can expect to enjoy through taking sea buckthorn, you must measure it up in relation to how it’s been used traditionally. One of the more popular traditional uses of sea buckthorn has been as a stomach remedy. Sea buckthorn grows mostly in Asia and Western Europe and has become used independently in traditional Chinese Medicine, Traditional Tibetan Medicine, and traditional Mongolian medicine. The berry was used for a number of purposes including alleviating inflammation, aiding circulatory health, healing skin and wounds, as a cough medicine, and helping to improve digestion. What’s the Problem With Your Stomach? Sea buckthorn is not medicine per se, yet it certainly has several nutritional benefits that suggest it may be an aid to digestive health. One of the key elements in this berry that might aid digestion is its support of your body’s mucous membrane health. Just as sea buckthorn has been shown to potentially improve overall skin health (learn more about sea buckthorn and skin health), it may, in addition, help the lining of the stomach to heal itself. How Can Sea Buckthorn Help? One of the foundational ideas of traditional medicine is curing through nutrition, not drugs. Even modern day drugs are, of course, derivatives of nutrients found in nature, but no matter. Whole body nutrition equals whole body health. Sea buckthorn contains essential omega-7 fatty acids, also known as palmitoleic acid. This omega is essential to your body’s creation off skin and mucous membranes. Have you ever noticed that your skin condition and digestive health seem to be inexorably linked? Palmitoleic acid may symbolize that link. Click here to learn more about Omega-7. Irritable bowel syndrome can be an embarrassing and frustrating condition. It is not completely understood by science, which can make understanding IBS extremely difficult. However, most treatments for irritable bowel syndrome involve a change in diet. Sea buckthorn may contribute much of what’s missing in overall digestive health thanks to its essential palmitoleic acid content, as well as its dense Vitamin C content. 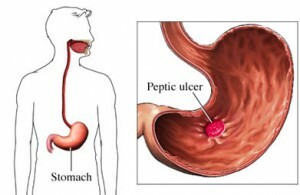 An ulcer in the lining of the stomach is painful, dangerous, and must be staved off as quickly as possible. If you’re looking for a traditional way to treat your stomach ulcer, then sea buckthorn may be a viable inclusion to your new diet. It facilitates an extremely functional digestive system, and may help your stomach lining heal. One of sea buckthorn’s other major traditional uses is for inflammation, thanks to its high concentration of antioxidants which promote fast cellular healing and regeneration. The berry may help to destroy C-Reactive Protein, a known contributor to inflammation and related pain. Click here to learn more about sea buckthorn as an anti-inflammatory. One Response to No More Stomach Pain! 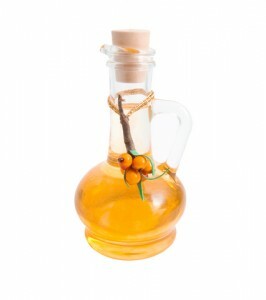 Sea Buckthorn Oil Offers Impressive Support to Relieve Stomach Discomfort!